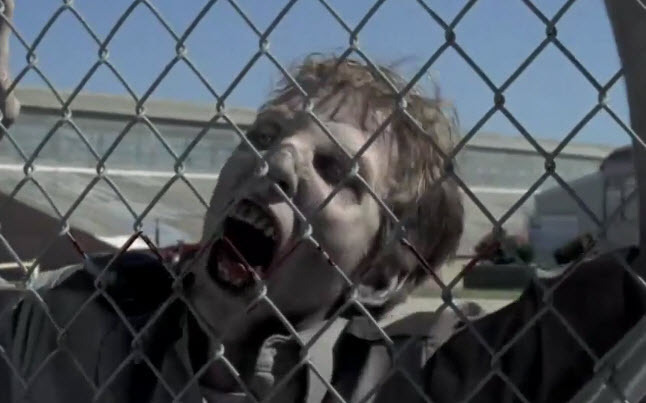 The second half of the hit series The Walking Dead is getting ready to kick off in about 3 weeks and we caught the glimpse of a new trailer featuring the show. This trailer shows a few scenes from season 2 that have already aired as well as some clips that have yet to come. The show had it’s mid-season finale on November 27th with the stunning ending that finally showed what had happened to Carol’s daughter Sophia. Now the show is getting ready to pick up where it left off when it comes back to our homes on February 12th. The promo shows some new stuff that wasn’t seen in the “Nebraska” trailer that was released last year following the finale of the show. We can figure from both of the videos that there will be some showdown in a structure where it appears they are fighting for their lives. Also, you will notice there seems to be some issues with Hershel following the scene at the barn, as the group sets out to find him. We can assume that Hershel is upset following the massacre which included members of his family that were kept in the barn. The graves the group of survivors are digging at the end of the “Nebraska” trailer is most likely for members of his family that were killed. The next episode that is titled, “Nebraska”, will be the first look at what has come since the tragedy at Hershel’s barn. While we had to wait a very long time for the show to continue, we can rest knowing that The Walking Dead is set to start again very soon.